Wednesday, November 23rd: 5:00am, 6:00am, 9:30am and 12:00pm. ALL afternoon classes are canceled. 24:58 reached muscle failure at the final 2 Dips. In my post I was talking about quitting. I actually have to get to work. Gag. 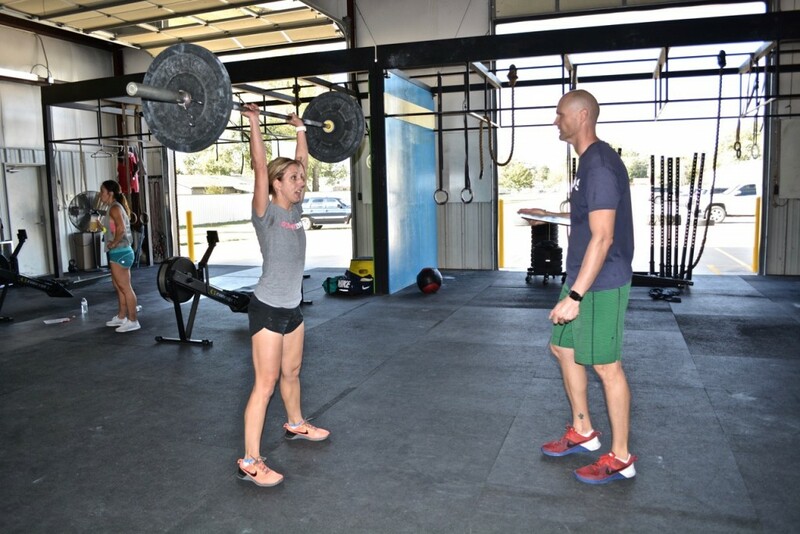 A great picture of a great CF Jenks CrossFit Couple! Gotta love it. Core Development complete with some handstand hold and handstand walk skills and drills. *Didn’t start in locked out position for first four sets of dips; No reps. Also did two sets of 20 on barbell pushups. 1/2 core work and had to go! Questionable bar dips through the entire work out! !